SAVANNAH, Ga., Feb. 17, 2019 /PRNewswire/ -- Gulfstream Aerospace Corp. announced its newest aircraft, the class-leading, award-winning Gulfstream G600, will make its Australian debut at the Australian International Airshow and Aerospace & Defence Exposition from Feb. 26 to March 3 in Geelong, Victoria. Joining the Gulfstream G600 on static display will be the high-performing Gulfstream G550 and the four-living-area, flagship Gulfstream G650ER. "The Asia-Pacific region continues to be one of our strongest international markets, demonstrated by tremendous regional fleet growth in the past decade," said Mark Burns, president, Gulfstream. "We are particularly excited to showcase our newest aircraft, the award-winning, clean-sheet Gulfstream G600, as part of its Australian debut." "We've been showcasing the G600 around the world, and customer feedback and interest for this all-new aircraft have been extremely positive," said Burns. "Our Australian static display represents best-in-class aircraft that provide the range, speed and payload capacity necessary for customers to operate with ease in the region." More than 335 Gulfstream aircraft are in service in the Asia-Pacific region. More than 290 of them are large-cabin. 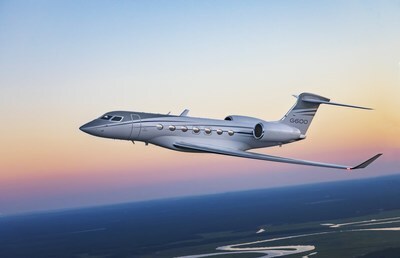 The G600 is capable of flying 5,500 nautical miles/10,186 kilometers at its high-speed cruise of Mach 0.90 – connecting major international destinations. Boasting the longest cabin in its class, the aircraft's award-winning interior can accommodate up to 19 passengers and be configured into three living areas and a crew rest. With 14 Gulfstream panoramic oval windows, 100 percent fresh air, a low cabin altitude and the option to install a shower, the G600 is designed for optimal passenger comfort and productivity. The G600 is also equipped with the award-winning Symmetry Flight Deck™, the most technologically advanced flight deck in business aviation. The G650ER can easily connect Los Angeles to Melbourne, Australia, and did so in 14 hours and 58 minutes, establishing a city-pair record. To date, the G650 family has more than 85 speed records combined. The G650ER cabin can accommodate up to 19 passengers and is enhanced by 16 Gulfstream panoramic oval windows, low cabin altitudes and a quiet cabin experience. The G550 can fly 6,750 nm/12,501 km nonstop and has demonstrated its range and speed capabilities in a city-pair record connecting Kailua-Kona, Hawaii, to Melbourne in 10 hours and 41 minutes. Known as an aircraft with tremendous performance, the G550 is often used as a special missions' platform for governments around the world. Gulfstream will be located in chalet N17.